Is Port Hedland Now too expensive to live, work and retire in? According to Port Hedland’s Pilbara Port City Growth Plan, its aims for Port Hedland is to be “a nationally significant, friendly, City, where people want to live and proud to call home”. It also provides a “high level strategic blueprint to facilitate the sustained growth of Port Hedland… with a population of 50,000 people”. The front page of the North West Telegraph, 6 June 2012, tells the story of “once profitable [Port] Hedland small businesses are closing their doors at an alarming rate, crippled by skyrocketing rents and wages”. For Port Hedland to be city with 50,000 people, it must offer affordability for small business and retirees, and a diversity of employment and accommodation pricing. The Growth Plan offers 5 core themes relating to economic growth, communities, housing, environment and infrastructure. These themes offer nothing new, nothing that is going to directly address the loss of locals from Port Hedland who cannot afford to live, work and retire unless they work in mining or provide a direct service to mining. Port Hedland’s history since 1896 is not built on mining, it’s built on local families offering a diverse range of services and industries. Mining came afterwards and it complemented the town’s business offerings. Port Hedland’s residents were so confident in the 1960s that mining would not dominate the town as a sole employment offering, that they agreed to a deal by the State Govt. where mining companies would not pay rates to the Council for the land they occupied. This is still the case today even though the pool of ratepayers is diminishing rapidly, leaving just the hardy souls to fork out more for rate increases. People working in mining earning a compressed lifetime of income from 12 hour shift work would appreciate diversity and options for their hard earned hours. Port Hedland Now has less and less to offer with eight family owned businesses closing down, and more and more options to fly-in and fly-out. The employment ads by the mining companies confirms their preference for FIFO to keep the costs down and the employees happy with options. 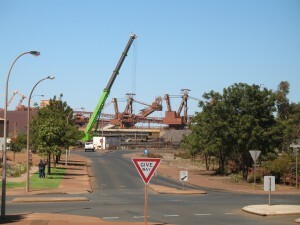 The PPC Growth Plan to fill Port Hedland with 50,000 people falls at the first hurdle. It fails to offer any solutions to affordability and diversity, and it ignores the local families who can deliver services and industries as the primary driver for a vibrant city. Mining should complement the town, not dominate it. According to an interview with the ABC Breakfast radio, Darryl Brown lives on a piece of Port Hedland’s paradise. His home is 100 years old and has withstood many a cyclone. BHP want to ship iron ore even faster from Port Hedland and the homes along the foreshore are standing in its way to build a tug pen. The tug pen development will require demolition of the fishing reef and a huge sea wall which could flood the homes located on Richardson Street (Ref. NWT, p. 1). 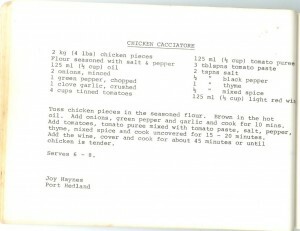 This recipe was found in a booklet compiled by the Students of Hedland College, Office & Secretarial Studies Course (1982 full-time class). It is a collection of tried and reliable recipes “to help the housewife” with some recipes for “outback” cooks with the use of a camp oven. The Country Women of the Pilbara collaborated to select the best recipes at the time. Here’s one from Mrs Joy Haynes, circa 1982. Enjoy. There is a wonderful tribute to Mrs Joy Haynes in this week’s North West Telegraph. Mrs Haynes as she was known to me, lived on Moore Street as did our family. During the heady days of the 1970’s there were four Councillors who resided on Moore Street. There was Mrs Haynes’ husband Jack, my father Colin Matheson, Arnold Carter who is still a Councillor living on Moore Street, and Ike Holbrow. Between them they had more than 20 children. Joyce Blance O’Brien was born on 6 April 1922. She joined the Air Force as an instrument mechanic during WWII. In 1946 Joy married Jack Haynes who she had knowned since her childhood. 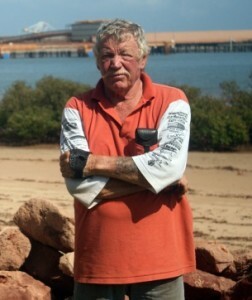 They moved to Port Hedland in 1963. She made the most of Port Hedland’s opportunities being a charter member of Soroptimist International of Port Hedland, an original committee member of the Hedland Tourist Bureau, local business owner and town socialite. She was referred to as “a pillar of the Hedland community”. Mrs Haynes ran the kiosk at the Port Hedland swimming pool for six years in the 1970s. One of my favourite foods from the kiosk was her roast chicken. She also had a handcraft company which evolved from tiny beginnings in the Richardson Forum to larger premises at Hedland Arcade. Mrs Haynes called Port Hedland “paradise” and defended it as the best place to be. Joyce Blance O’Brien passed away on 30 December 2011. RIP. The Port Hedland Historical Society is organising a tribute weekend for the loss of the ship known as the SS Koombana that went down on 20 March 1912. 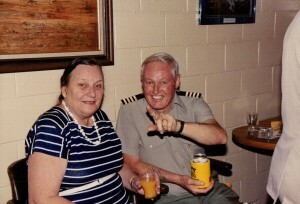 The tribute weekend will be on 17 and 18 March 2012 in Port Hedland. The 3668 tone steamship went down 100 years ago with an estimated 138 passengers and 20 crew. It is believed there were no survivors. Only two lifeboats and a cabin door were recovered. The steamship was on a trip from Port Hedland to Broome. Some of the descendants of those lost are planning to make the trip to Port Hedland for the centenary anniversary weekend. There will be activities including a Captain’s Table dinner offering a three course dinner and the chance to hear from two of the Koombana’s chief researchers Annie Boyd and Kerry Thom. Entertainment will include music from a scratch band and toasting the lost souls of the Koombana. For more information contact Julie Hunt, Vice President of Port Hedland Historical Society, on 9173 2739. The annual Port Hedland reunion is on again this year in Kings Park. It starts at 10am. Bring a picnic lunch with you. Catch up with friends, and meet new ones. Tshirts from the HSHS 40 year reunion will be on sale which includes a Pilbara friendship ring and HSHS lanyard. attend. More than 40% of the attendees came back to Port Hedland for the event. generously donated by Geoff Stocker of Pilbara Logistics. of a maths competition for the Junior Division in 1979.
will be collated for the book. Why do I need to register, you might ask? 1. We need to know your Tshirt size… if you want one. Bus tour to capture the memories… Where did you live? What’s there now? See HSHS Reunion tab for further updates. bank transfer. See you in Port Hedland on 30-31 July 2011.